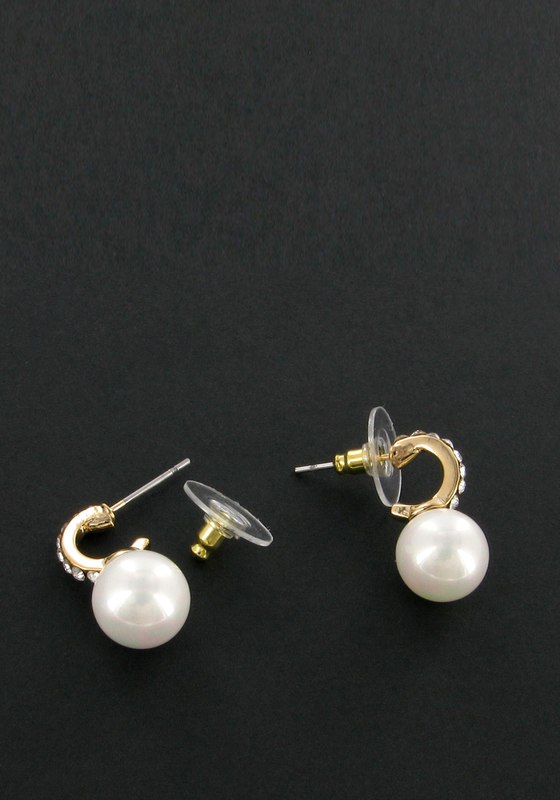 A pair of classic earrings from Nour London. 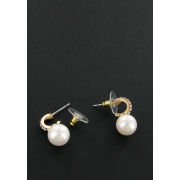 These gorgeous earrings have a half loop gold plated top embellished with crystals and a pearl at the bottom. These earrings will add an elegant touch to your outfit.